Greetings from Toronto on a Friday afternoon! First and foremost, let me begin by expressing my sincere thanks to the team of Brothers Paul Cruz (previous Web Master) & Venant Ferreira, for their work over the past two years in keeping the web up to date. They are indeed both talented brother knights and they will be provided the opportunity to assist with other council projects. Second, I am pleased to announce that our new Web Master for the Fraternal Year 2013/14 is Brother Luis Gomes. I append a self-explanatory message from Brother Luis below. Our new website is a simple design with a user friendly navigation. It incorporates useful Google elements, including its gadgets, Photo Albums, YouTube clips and best of all at no cost to our Council. To get to our new site always use kofc12067.ca Please note we are a "dot ca" because our Council is in Canada and we support Canadian domain registrations. We are not a dot com because we are not a commercial business. Under the LINKS page you can view our older websites. 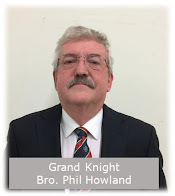 Under the NEWSLETTERS page you can view all previous Newsletters (This is constantly being updated) Under GRAND KNIGHTS page we honour our Past Grand Knights...it is being updated at this time until all the pictures are received by the web master. Below the Navigation, you will note 3 columns. The left column will be used for all Council/Parish Events flyers with captions. The middle column will have the latest information which may include the most current Event that occurred. The right hand column will have all information pertaining to the Council affairs.